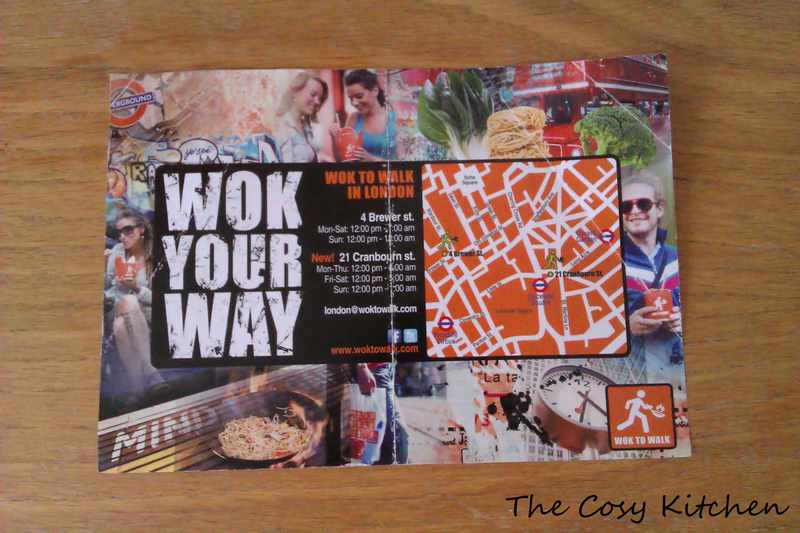 My husband and I visited the ‘Wok to Walk’ in Soho area between Piccadilly and Chinatown. I ordered the calamari udon noddles (with fresh vegetables and egg) with ‘Hot Asia’ sauce. 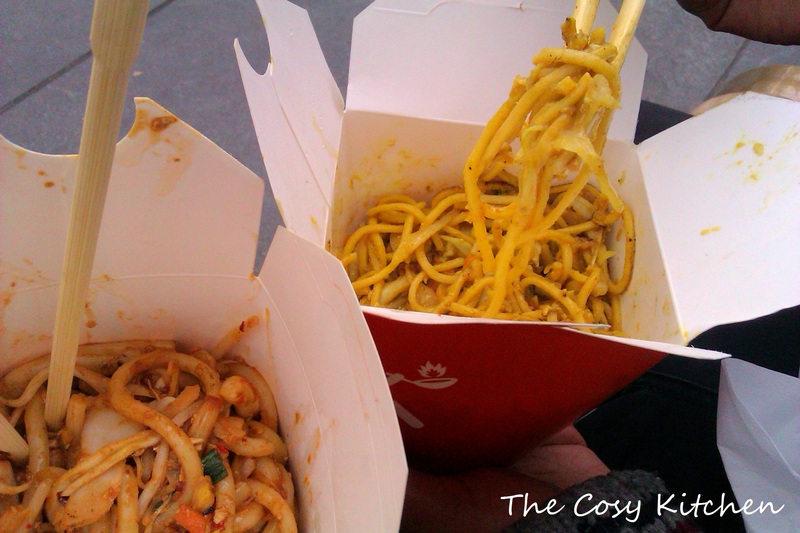 He had ordered the calamari egg noodles (with fresh vegetables and egg) with the ‘Bangkok’ curry coconut sauce. 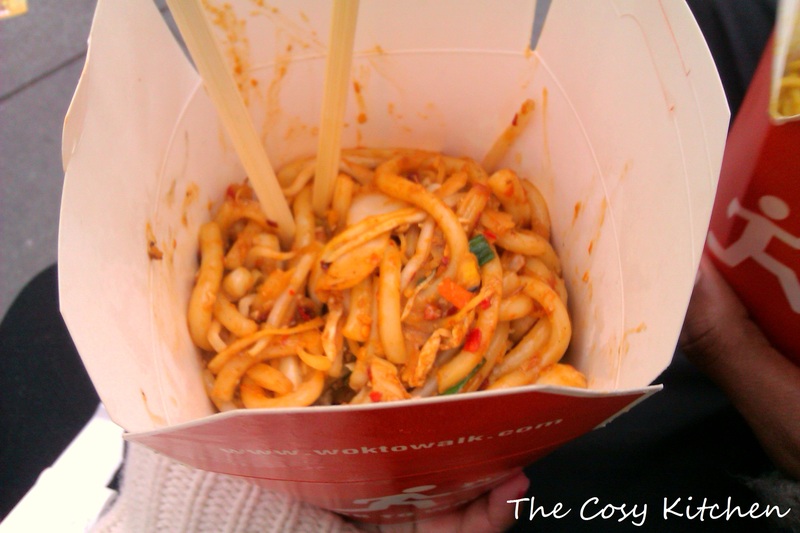 Wok to Walk makes the food right in front of you, they put it in a little box and send you on your way. 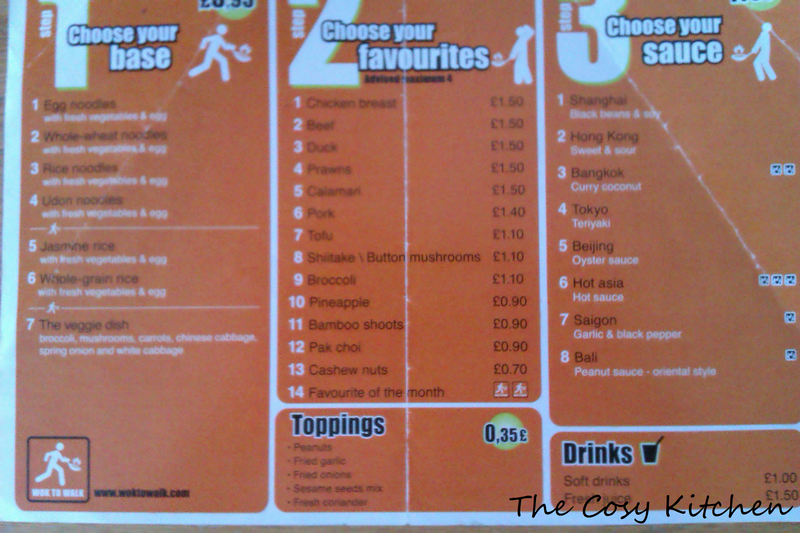 Its very delicious and affordable and gives you the choice of ordering exactly what you want in three easy steps. 2. Choosing the additional ingredients. Thank you! I really appreciate the comments! I’m still finding my way around WordPress and I’ve only just realised that comments are being sent to my spam folder. I hope you keep an eye out for new posts and you enjoy them as much as I like writing them! You have a great blog over here. I just wanna say thanks for all the interesting info on it. I’ll follow your website if you keep up the good work! Thank you very much! I hope you will enjoy the posts I have lined up!